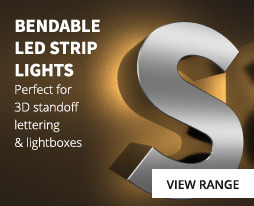 This quality LED tape kit is a plug and play solution with all the products you need to create a bright 3m long strip of Red light. 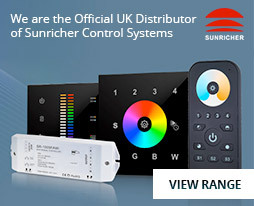 The kit comprises of a 3m roll of LED tape, a 12v LED Driver and an in-line on / off switch. The tape has a 3m sticky back to fix it into place and as it is IP65 rated, it can be mounted in damp conditions. The LED Technologies 3m long red LED tape kit is an ideal product for creating a bright red halo of light in a room. Perfect for children’s play areas and other applications where a coloured light effect is required. It can easily be installed under cupboards or coving to create a bright halo of light and it's strong epoxy resin coating is splash proof. LED lighting is very energy efficient, using around 90% less power than standard filament lamps so it is very economical to run and as the LED's and components used in the manufacture the tape are excellent quality, you can expect an average of six years of normal use. Before installing the tape, remember that you will need to plug the driver into a suitable 240v mains supply so choose a location carefully. Stick the tape into position as required and then simply connect the output jack socket from the LED driver into the jack plug on the LED tape. The tape can then be switched on using the in-line on / off switch.